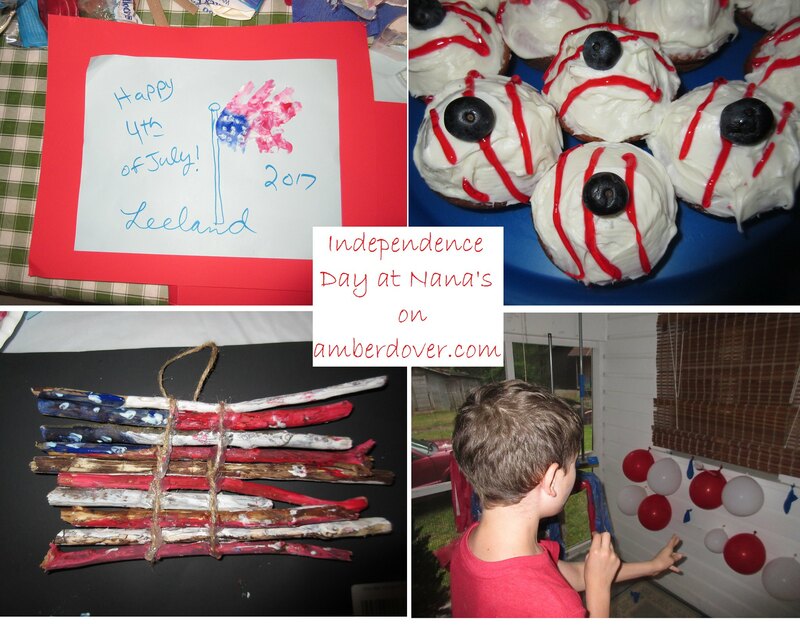 In this post: Fourth of July crafts, activities, and snacks! Remote Control Four Wheelers– My Aunt and Uncle gave the boys these toys and we had fun racing them. Shucking corn- So this wasn’t planned. Ha! Supper was taking a bit longer to get together. So we kept the kids busy by having them help. Patriotic Cupcakes- Mom iced vanilla cupcakes with red and white icing and topped them with blueberries. Mom lit birthday candles for our fireworks. Crafts- It was nice to have someone else plan crafts and Mom did a great job. Michael and Chris worked on the stick flag, while Mom and Leeland worked with paint and glue. Patriotic Wind Craft- there was a picture on Pinterest but no link. We actually spent the weekend and day of the fourth of July with grandparents. Here are some highlights. picking blackberries with my Hubby! Next Next post: Left Behind?